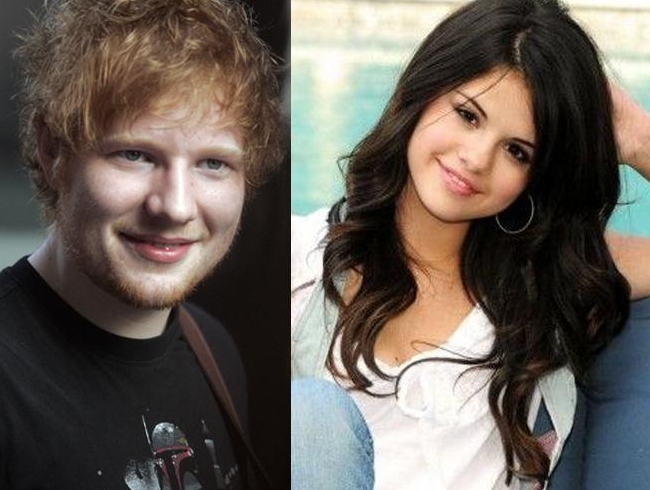 Selena Gomez just misses running into Justin Bieber with her new lover Ed Sheeran. The Come and Get It star was pictured getting some supplies with Ed at the local 7-Eleven after leaving a party at The Nice Guy where Biebs arrived to party. Just two years ago, Selena Gomez and Ed Sheeran were at the centre of romance rumours, with everyone left asking if the pair were dating – and now we’re asking the question again as they’ve been spotted getting close. The Thinking Out Loud star and former Disney star were seen popping into a 7-Eleven store after leaving Tori Kelly’s album party at The Nice Guy in Hollywood. Selena and Ed were seen stocking up on supplies in the convenience store before getting into the back of their waiting car, to carry on the night. The two music stars, who are both BFFs with Taylor Swift, had only just missed Selena’s ex Justin Bieber, who turned up to the star-studded West Hollywood spot moments after they had left, according to reports. In 2013, the pair were reportedly introduced by Taylor on Memorial Day weekend, and the British star was seen a few weeks later loading his guitar into the boot of a car after spending the night at Selena’s house.